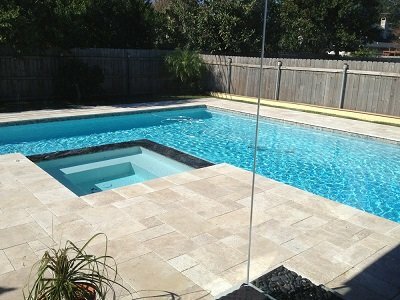 Tiles for inside and outside your pool for that professional finish call Cozy Pools. Tiles can be made out of all kinds of substances – glass, ceramic, granite, marble, limestone and sandstone. Depending on the look you want to achieve will govern your choices. 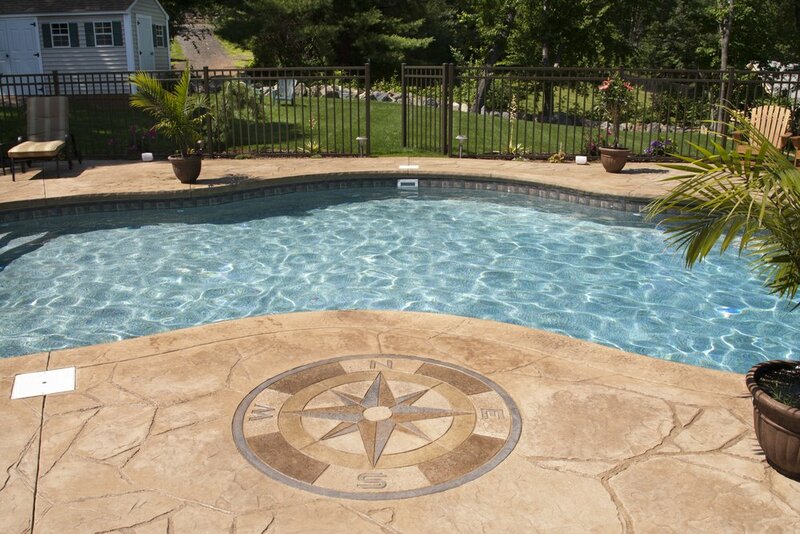 Our helpful staff at Cozy Pools can show you samples of different tile types and explain their properties and benefits in relation to your needs and situation. Practically, tiles are easier to clean than rendered surfaces, hence easier to maintain. The durability of tiles is undisputed and the feel on the feet is silky and smooth. Cozy Pools can offer you the latest technology in the way of robotic pool cleaners which will save you ongoing chemical costs whilst cleaning the pool’s interior surface. Just call today to find out what suitable options you have. 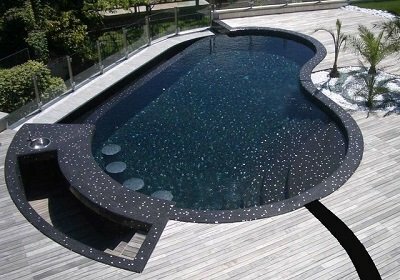 For your pool’s interior surface the common choice is mosaic pool tiles. Mosaic pool tiles can be ceramic or the more-increasingly popular glass mosaics. Glass mosaics come in a huge range of colours and effects such as ‘pearl’ and ‘crystal’ finishes. Since glass mosaics are less porous than traditional ceramic mosaics they require extra latex additives to help them stick to the pool shell. They also require more skill to lay so are slightly more expensive but the look is worth it. Even if you want a custom mosaic design inside or outside your pool, nothing is too hard or too fiddly for our experienced Cozy Pool’s team. 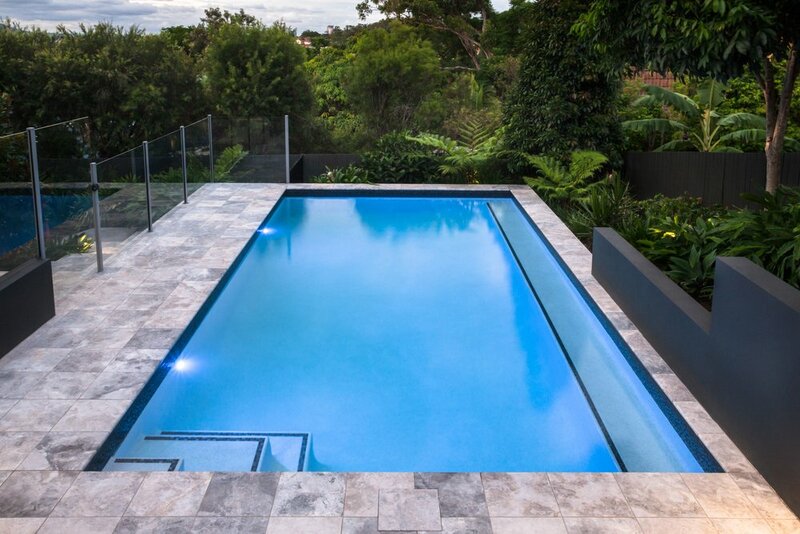 Waterline tiles give a pool that finishing touch. They can match or contrast your pool’s interior or surrounds. The waterline tiles can also for example help a pool look bluer, by having a lighter blue interior and a darker blue waterline tile. Let us show you the waterline tile options you have. Outside the pool pavers and tiles are a common finish. Cozy Pools is dedicated to providing you a first-class service and quality tradesmanship with all your tiling needs. Tiles can be used on water features or decorative walls. Where these tiles are visible it is important to get a clean level finish. Tiles that are not well-laid can create shadowing and nasty places to stub your foot. Our experience tilers at Cozy Pool have superior skill with all kinds of tiling that will leave you happy and more than satisfied with the job done.